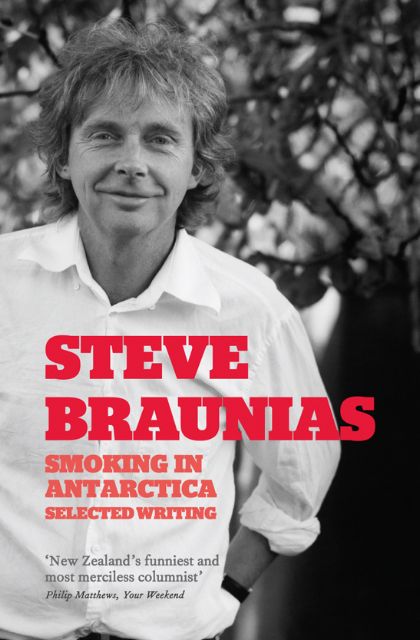 Steve Braunias shines in this superb selection of new writing. Starting with the election of John Key, he comments with devastating directness on the devious ways of politicians, the effects of the recession, and the notorious murders that shocked the country to the core. On a lighter note, he relates his adoration of birds, his detestation of ‘truly horrible food’ (columns which brought countless contributions from readers) and the ‘hell’ of his much-vaunted stay in Antarctica. Threaded throughout – and reported with disarming honesty – is Braunias’s own journey as a journalist and would-be novelist. Above all, he writes about his young daughter in moving columns that have won him many new readers and admirers.